Personalized nursery wall art makes a great - and unique - baby gift! 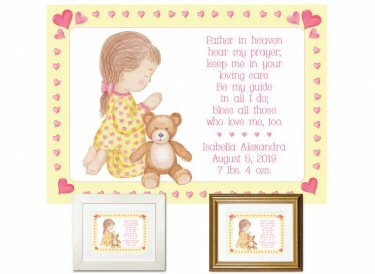 Keepsake includes baby's name and birth stats - date of birth and weight. Features this sweet prayer: Father in heaven hear my prayer; keep me in your loving care. Be my guide in all I do; bless all those who love me, too.